Enjoy easy access to downtown and the peaceful nature of nearby parks when you choose one of our available Ventana Apartments and Townhomes for rent in Saskatoon. This established Saskatoon community provides comfortable living near everything you want, while also offering the relaxed neighbourhood surroundings. 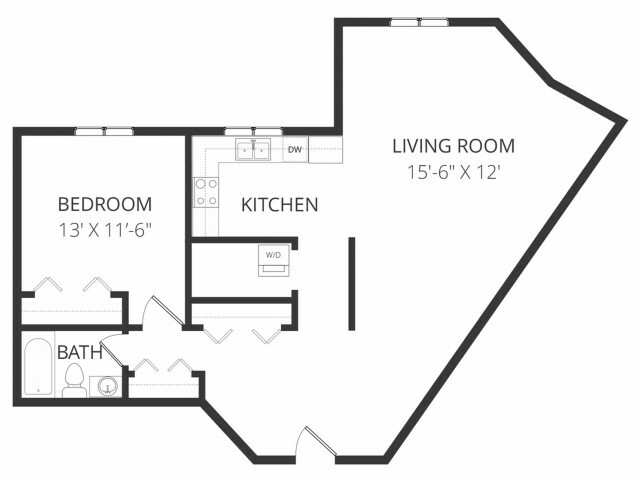 Our uniquely designed apartments and condos offer the space you need without sacrificing any amenities. Whether you need a cozy one-bedroom apartment or a more spacious two-bedroom home, you'll find it at the Ventana Apartments. 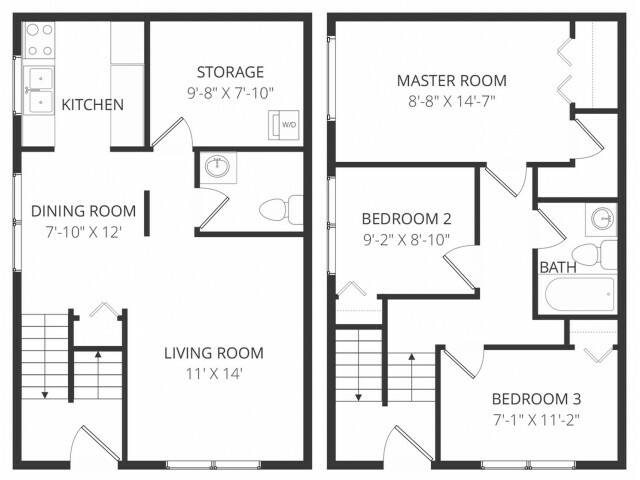 We also offer three-bedroom townhomes if you need more space or additional bedrooms for the family. Families with pets can move in, too, as our pet policy allows for certain cats and dogs to live in our apartments. Our cozy kitchens offer full-size appliances including a dishwasher, and certain floor plans serve up extra storage space. You'll also have the option to rent an apartment with a large balcony or patio for views of Saskatoon. 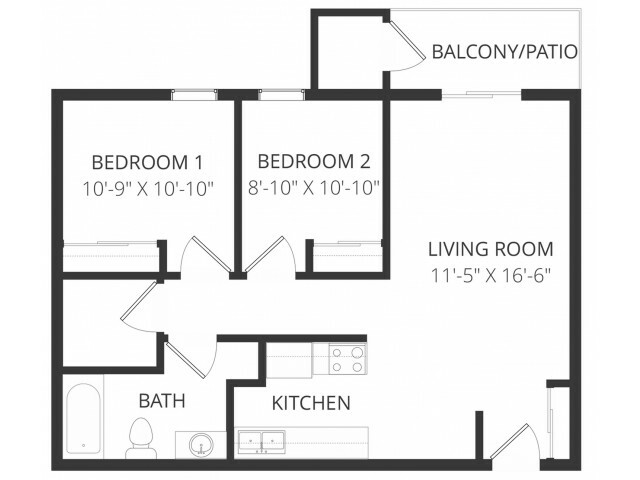 For added convenience, choose one of our apartments with built-in shelving and space for a washer/dryer in-suite. Our well-landscaped property sits west of Downtown Saskatoon, making it easy to visit everything you desire in the area. Not far from the excitement of downtown or Saskatoon shopping, our rentals are also close to green space for outdoor recreation. Head to the park on the weekends or take in the enviable surroundings from the privacy of your own apartment in Saskatoon. If you’re in search of available apartments or townhomes for rent in Saskatchewan, don’t miss the possibilities at Ventana. Call Weidner Apartment Homes today for a tour of our apartments for rent in Saskatoon, SK and to learn more about becoming a resident. 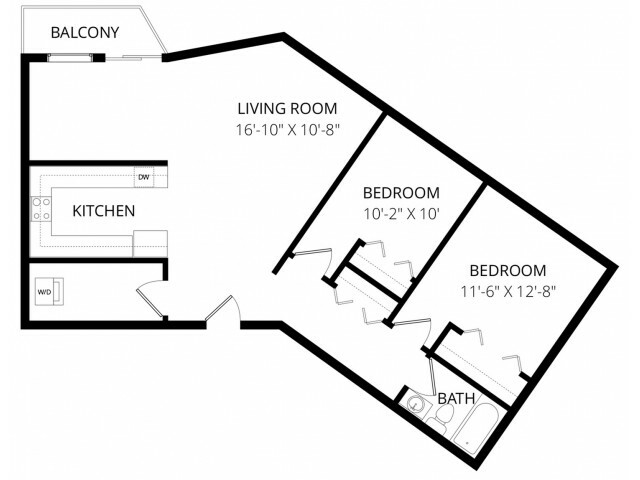 We’ll help you choose from our many different bedroom floor plans to get the best rental for you and your family. Whether you're in need of multiple bedrooms or one of our smaller apartments, you're sure to find what you're looking for in Saskatchewan! Cats and dogs allowed. Some breeds are restricted and all dogs must be introduced to management prior to leasing. There is a $300 pet fee for the first pet and a $200 pet fee for the second pet. There is also an additional $25 fee per month, per household.